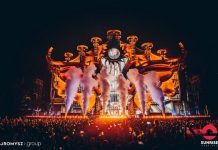 The ultimate bank holiday weekender, We Are FSTVL announce further huge names to their 2019 line-up, including Solomun, Yungen, MK, Notion, Nina Kraviz and more for what is tipped to be the highlight of 2019’s festival calendar. 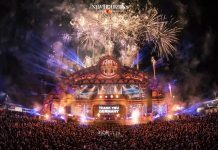 With a host of underground house, techno, electro and urban names gearing up for an explosive May Bank Holiday, headliners include Chase & Status, Basement Jaxx, Craig David and Andy C. In addition, Ultra’s world famous techno and house brand, RESISTANCE has just been announced to host their very own arena for the first time ever at We Are FSTVL. 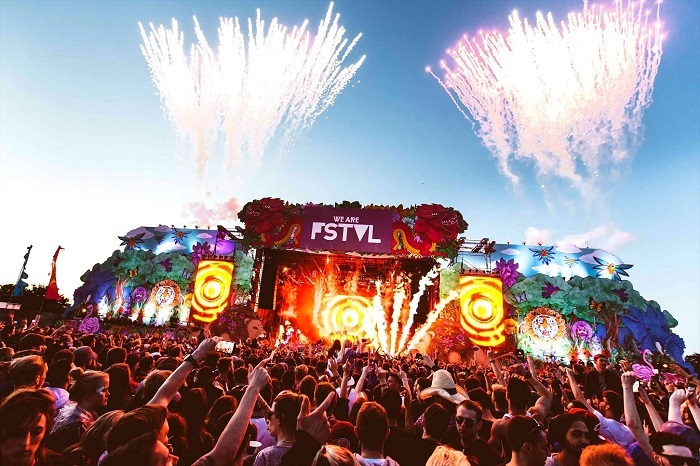 The ultimate highlight of the festival calendar and returning for its hugely anticipated 7th edition, We Are FSTVL is heading back to Damyns Hall Aerodrome, Upminster from 24th – 26th May 2019, bringing together colossal names in House, Bass, Techno, UK Grime, and Drum & Bass. 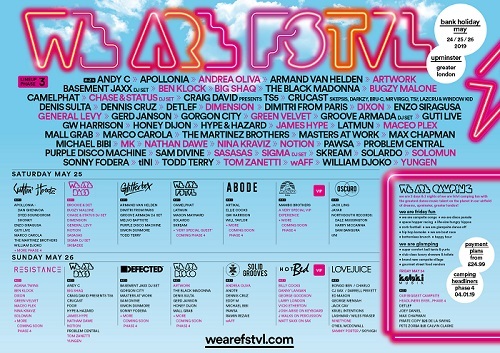 “As the only partner to have been ever present at all, 7 (seven) editions of We Are FSTVL, we are delighted to be returning to work, once again, with our friends at We Are FSTVL with both Defected and Glitterbox brands.